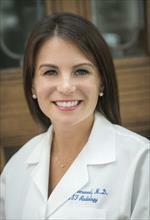 Heather Greenwood, MD, is an Assistant Professor of Clinical Radiology in the Breast Imaging section at the University of California, San Francisco. She obtained her medical degree from Northwestern University, Chicago, Illinois in 2008, followed by a one-year internship at MacNeal Hospital, Berwyn, Illinois. Dr. Greenwood completed a four-year Diagnostic Radiology residency at New York University Hospital in 2013, followed by a Breast Imaging fellowship at UCSF in 2014. Greenwood HI. Abbreviated protocol breast MRI: The past, present, and future. Clin Imaging. 2018 Oct 22; 53:169-173. Greenwood HI, Dodelzon K, Katzen JT. Impact of Advancing Technology on Diagnosis and Treatment of Breast Cancer. Surg Clin North Am. 2018 Aug; 98(4):703-724. Garcia-Reyes K, Greenwood HI, Price ER. Outcomes of ultrasound-guided axillary lymph node sampling in the absence of primary breast cancer. Clin Imaging. 2017 Jul - Aug; 44:92-96. Greenwood HI, Arasu VA, Desphande VS, Wisner DJ, Laub GA, Hylton NM, Joe BN. Achieving Consistent, Homgeneous, Dark Fat Saturation on Bilateral Breast MRI at 3.0 Tesla in the Clinical Setting. OMICS Journal of Radiology. 2016; 5(4):1-4. Heller SL, Elias K, Gupta A, Greenwood HI, Mercado CL, Moy L. Outcome of high-risk lesions at MRI-guided 9-gauge vacuum- assisted breast biopsy. AJR Am J Roentgenol. 2014 Jan; 202(1):237-45. Greenwood HI, Heller SL, Kim S, Sigmund EE, Shaylor SD, Moy L. Ductal carcinoma in situ of the breasts: review of MR imaging features. Radiographics. 2013 Oct; 33(6):1569-88. Alpert JB, Fantauzzi JP, Melamud K, Greenwood H, Naidich DP, Ko JP. Clinical significance of lung nodules reported on abdominal CT. AJR Am J Roentgenol. 2012 Apr; 198(4):793-9.